Q: What is Rebuilding Together? A: Rebuilding Together (formerly Christmas in April) is a leading national nonprofit in safe and healthy housing with more than 40 years of experience. Together, with our corporate and community partners, we transform the lives of low-income homeowners by improving the safety and health of their homes and revitalizing our communities. Rebuilding Together Richmond is the regional affiliate and brings together over 1000 volunteers annually to provide much needed repairs to homes and community spaces in Richmond and the Tri-Cities. Q: What happened to Rebuilding Together * Tri-Cities? A: Rebuilding Together * Tri-Cities consolidated operations with Rebuilding Together Richmond in order to continue serving homeowners in Petersburg and surrounding communities. Rebuilding Together Richmond is excited and eager to provide homeowners in the Tri-Cities exceptional service! Q: Why are Rebuilding Together Richmond’s services needed? A: Sometimes, our neighbors fall on hard times, and become physically or financially unable to care for or repair their own homes. Rebuilding Richmond Together provides the skills and resources to help make those homes safe and livable again. Your volunteer efforts can make a difference in people’s lives. 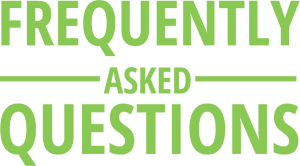 Q: Who is eligible for Rebuilding Together services? A: Low-income homeowners who are seniors or have a disability are eligible for our repair services. We also extend our services to community spaces and non-profit facilities in various neighborhoods. Q: What is “Christmas in April”? A: An early recipient told an interested reporter that receiving this gift from her neighbors in the community was like having “Christmas in April”. This name was adopted by the organization in 1988. In 2001, the organization became “Rebuilding Together”, a name which reflects its expanded mission and additional year-round services. Q: How are homes selected? A: Various churches, neighborhoods, and community and service organizations refer homes to us. Homeowners must submit financial information for review and approval by the Rebuilding Together Richmond staff and board of directors. In addition, our program manager and construction field assistant conduct site visits to the homes to assess the level of repairs needed. Q: What area does Rebuilding Together Richmond serve? A: Since 1993, we have aided in the revitalization of over 40 neighborhoods in Richmond and the Tri-Cities by impacting close to 1,900 homeowners and hundreds of neighbors by repairing homes and community space facilities. Previous communities in the city of Richmond, including the Blackwell, Church Hill, Jefferson-Davis corridor, Bellemeade and Highland Park, Peter Paul and Greater Fulton communities. Q: What repairs are done? A: Repairs include carpentry, plumbing, electrical, roofing, painting, glazing, weather-stripping, grab bars, ADA wheelchair ramps, trash removal, cleaning and much, much more. Q: Do the homeowners pay? A: No. All repairs are paid for by dollar donations or in-kind donations from businesses, foundations, service organizations, clubs, associations and individuals — from neighbors who care — at no cost to the homeowners. Q: Who sponsors Rebuilding Together build projects? A: Our sponsors include businesses, foundations, service organizations, clubs, associations and individuals. Q: How can I support Rebuilding Together Richmond? A: There are several ways to get involved. A: Anyone can be a volunteer. Volunteers do not need to be skilled at home repairs. Our volunteers come from religious groups, businesses, schools, community service organizations, corporations, associations, and interested and concerned individuals. They represent all professions: secretaries, lawyers, truck drivers, doctors, judges, policemen, housewives, students, etc. Q: What do I need to know about National Rebuilding Day? A: National Rebuilding Day is our annual, one-day “blitz-build,” held the fourth Saturday in April, when over 1,000 volunteers from throughout the Greater Richmond region provide major and minor repairs to qualified homes and community spaces in a target neighborhood. A: National Rebuilding Day is rain or shine! Much of the work is indoors.